Australia is the world's sixth largest country by area and one of the least populated with only 23 million people living within its 7,692,024 sq km boundaries. It is made up of six states - New South Wales, Victoria, Queensland, South Australia, Western Australia and the island of Tasmania. There are also two territories - the Northern Territory and the nation's capital of Canberra is in the Australian Capital Territory. 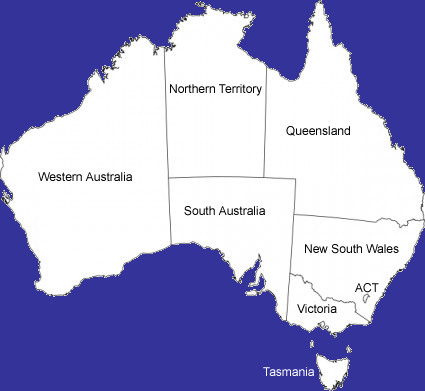 Each state and territory has its own government and there is a Federal government in Canberra. The biggest city in Australia is Sydney, capital of NSW, with 4.6 million residents, followed by Melbourne (Victoria) 4.1 million, Brisbane (Queensland) 2.1 million, Perth (WA) 1.8 million, Adelaide (SA) 1.2 million.